We continue to be busy building our cancer therapy company Angiex. This week we got some good news – we won the Boeing-CASIS prize at MassChallenge, obtaining funding to put an experiment on the International Space Station where we’ll study how our cancer drug behaves in this unusual environment. Meanwhile there’s some interesting goings-on at our Perfect Health Diet partners, Examine.com and AOBiome. 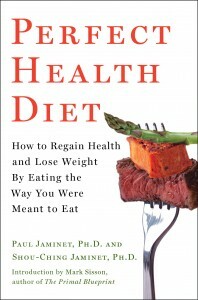 If you’ve been missing our nutrition posts, Examine.com is always a good place to look for up-to-date, high-quality commentary on new nutritional studies. PHD readers get up to 40% off during the sale. 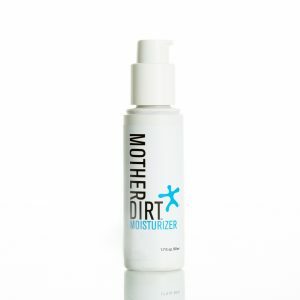 Meanwhile, AOBiome has launched the first microbiome-friendly moisturizer. 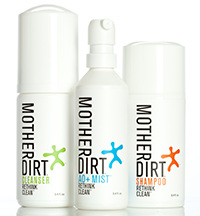 I use Mother Dirt products myself and highly recommend them. Our best wishes to all our readers as we head into the holiday season! Congrats to you both!!! Thank you for the info! I took your suggestion ans joined examine.com. I like it. They talk about the pros and cons of different nutritional strategies and supplements. They don’t sell supplements. They talk about the weight of the evidence. I find the “stack guides” the most helpful: each one describes a medical issue (say, joint pain or cardiovacular, and divide recommendations into proven, promising but not proven, and over-hyped. Mot too technical, good for a non-scientist. Their viewpoint seems more based on analysing the research than on promoting any particular view, similar to PHD.